Denise Scott‘s path to her career as a Barry Award-winning comedian began when she started acting nearly thirty years ago, but it has been in the last decade that she has hit the big time, scoring high profile TV spots, filling thousand-seat theatres, releasing two books and even returning to her acting heritage with ongoing roles on Seven’s Winners and Losers and Nine’s House Husbands. 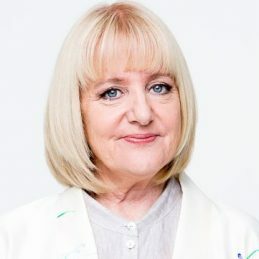 In 2009 Denise penned All That Happened at Number 26, a book which became a national best seller and a hit tour, with sell-out seasons at the Melbourne International Comedy Festival and the Sydney Opera House. Scotty’s subsequent solo show, Regrets, was awarded the Melbourne International Comedy Festival Directors’ Choice Award, with Scotty winning a Helpmann Award for Best Comedy Performer. She then made her debut (finally!) at the Edinburgh Fringe Festival, and released her second book The Tour. Denise hit the stage with her dear friend Judith Lucy in 2013’s The Spiral. Their stand-up-slash-book-tour debuted at the Princess Theatre during MICF and went on to sell well over 30,000 tickets across Australia. Denise returned to the stage once again in 2014 with her Barry Award Winning solo show Mother Bare, performing at the Adelaide Fringe, the Melbourne International Comedy Festival, Sydney Opera House and Brisbane Powerhouse. And in 2015, Mother Bare returned to MICF for a limited run at the Comedy Theatre and the prestigious Hamer Hall. Denise and Judith joined forces again for their biggest show yet – Disappointments. This critically acclaimed, runaway success saw them win the 2017 Melbourne International Comedy Festival’s People’s Choice Award, perform at London’s Soho Theatre and sell out shows all over Australia. In 2018 Disappointments performed at the Sydney Opera House and return season at the Melbourne International Comedy Festival. Scotty has been and remains a favourite guest on many of Australia’s favourite TV shows, including Spicks and Specks, The Project, Talkin’ ‘bout Your Generation, Have You Been Paying Attention?, Please Like Me and Jack Irish. Currently a co-host on Network Ten’s morning program Studio 10, and the voice of Travel Guides on Nine – watch this space, everything’s coming up Scotty!